Blaine Allan is Associate Professor in the Department of Film Studies, Queen’s University, Kingston, Ontario, Canada, a department that previously had Robin Wood, Peter Harcourt, Jim Kitses and Bill Nichols teaching in it. From July 1994 to June 2005 Blaine was Head of the Department of Film Studies. He is also the Chair of the Editorial Board of the Canadian Journal of Film Studies. His publications include Nicholas Ray: A Guide to References and Resources (Boston: G.K. Hall, 1984) and Directory of English-Language CBC Television Series, 1952-1982: Online reference tool, and he has published articles on Canadian film and television, music television, in Cine Tracts, Canadian Journal of Film Studies, Film Quarterly, Film History, and Historical Journal of Film, Radio, and Television. 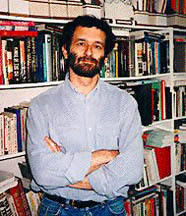 Allan has contributed chapters to Canada’s Best Features: Critical Essays on 15 Canadian Films (Amsterdam: Rodopi, 2002) and North of Everything: English-Canadian Cinema to 1980 (Edmonton: University of Alberta Press, 2002). NOEL KING: Could we start by discussing the September-December 2004 edition of the Canadian film journal, Take One, in which various Canadian and overseas film scholars, journalists, etc. – yourself included – list the 20 best-ever Canadian films. This selection process has now produced three lists over two decades — 1984-2004 — and understandably enough, as happens with other similar lists (i.e., Sight and Sound‘s decadal list), some films come and go in the process of canonisation. You’ve watched this over 30 years of your involvement with film studies in Canada. What are you thoughts on the latest list? BLAINE ALLAN: I have no problem with the films that are on the list, as it turned out. In many cases, they are important films like Goin’ Down the Road [Donald Shebib, 1970] and Mon oncle Antoine [Claude Jutra, 1971] or highly creditable films like The Sweet Hereafter [Atom Egoyan, 1997] and Les Bons débarras [Francis Mankiewicz, 1980] and Denys Arcand’s three films [Jésus de Montréal, 1988; Le Déclin de l’empire Américain, 1986; Les Invasions barbares, 2003], and that’s fine. If you look at my vote in the poll, I might seem wilfully contrarian but, since I realised my ballot would be published, what I wanted to do in part was just get onto the agenda the names of some films that I knew would be neglected, that would have no chance of ever making the list. The exercise of the film list is a parlour game, but it’s one that I really enjoy, and one that I use in my classes. I use the Take One poll in my course on Canadian film and television, and the Sight and Sound poll in my film history class, because I think they relate to issues of reputation and evaluation on a grand scale, which are quite interesting problems. What you see with the Canadian poll is something quite different from what typically happens in the Sight and Sound poll. The Canadian poll becomes much more of an exercise in ‘presentism’, where new films make the list and supplant older ones. Whereas, I think, in the Sight and Sound poll the most recent film is Raging Bull [Martin Scorsese] – from 25 years ago – in the Canadian poll you have The Sweet Hereafter, from just a couple of years back, knocking off The Adjuster  as an Atom Egoyan film. Or you have Les Invasions barbares making its name, even though it was released only a year ago. Or Atanarjuat [Zacharias Kunuk] from two years ago. That seems to me an interesting tendency. One of the things I take issue with in general, although there’s no way you can deal with it in a poll like this one, as far as the results are concerned, is the elimination of greater degrees of history, and the diminution of particular forms of film – like documentary and experimental work – in order to elevate the feature film, which is a much more current strength in the Canadian and Québec cinemas than was the case in the past. That said, if you go down the list, below number 10, you have short films like The Heart of the World [Guy Maddin, 2000] and Wavelength [Michael Snow, 1967], as well as films like Pour la suite du monde [Michel Brault, Marcel Carrière and Pierre Perrault, 1963] and Thirty Two Short Films about Glenn Gould [François Girard, 1993] – all have a strong connection to documentary or experimental cinema. But if you look at other selections, and earlier polls, you’ll see things like Norman McLaren films scattered throughout, or [National Film Board] Unit B documentaries, or other documentaries scattered throughout people’s selections. I think it’s a good thing that some people have kept that open. Very few people seem to go back as far as I do – except perhaps to acknowledge the silent-era film, Back to God’s Country [David Hartford, 1919] – or as far into the unknown, when I select Accidents Don’t Happen: Safe Clothing [David Bairstow, 1946], a workplace safety film made by the National Film Board for the Department of Labour, which is a stunningly funny and bizarre film intended to demonstrate the dangers of wearing loose clothing in a factory setting: it’s a brilliant little piece of filmmaking. And although there are a few cases where films made for television are listed, like Warrendale [Allan King, 1967], not many people have identified television productions made on film – like something from the Wojeck series or Da Vinci’s Inquest – as significant productions on film. Now that’s something that wouldn’t come up in Sight and Sound lists either, or in American Film Institute lists; in those lists you wouldn’t find much in the way of documentary or experimental film work. NK: Some recent books, like Hollywood North, talk about filmmaking in British Columbia and its relation to Hollywood. Can you give me your impressions about Canadian cinema as “small national cinema”? Is it unified in any strong sense or is it fractured and dispersed across language [French and English] and regional [East, West, Prairies, Newfoundland, etc.] lines? BA: We’re dealing with perceptions of a cinema that was perhaps initially centralised in the era of the strength of the National Film Board and other institutions like that – then bifurcated into Québec and the rest of Canada, or Francophone Canada and Anglophone Canada, in the 1960s. And now, 40 years later, I think the perception is much more one of regionalised film production. Now that was always the case: there were films being produced about British Columbia by British Columbians quite a while ago, but they were absorbed into the rest of Canada. In the meantime, in the past 20 years or so, we’ve seen much greater strength in regional production, shored up by the runaway industries of the US and the building of a talent pool and craft pool in the different areas. So when Hollywood productions come up to Vancouver, or go to Halifax, Montréal or Toronto, they’re building a pool of talent which is also able to be accessed by Canadian productions, even if at considerably lower rates, usually. There’s also been a growth in volume of domestic productions in those areas, so we can identify Vancouver films by directors like Bruce Sweeney and Lynne Stopkewich. You can identify Halifax films, or could particularly when Salter Street Films was operating, or Newfoundland films, or Winnipeg films by filmmakers like Guy Maddin, or before him John Paizs, as well as the Ontario films and Québec films that are still there. That said, there is still a distinct difference, as far as the circulation of films is concerned, between Québec and the rest of Canada. Québec can generally make a success of some of its films because it has a domestic star system, it has an audience that recognises Québec films and patronises them. Also, to circulate a film to the main part of Québec you are dealing with Montréal, Québec City, perhaps Trois Rivières and Sherbrooke and a few other cities. So you have to produce fewer prints, or you can put that small number of prints into circulation at one time, and flood the market with advertising and publicity. BA: And have a big opening weekend and perhaps a longer-lasting run. So, there’s that distinction to be drawn between Québec and the rest of Canada about the ways that films can circulate and their prospects for success. The alternative is that films in English Canada might open in Toronto and then be platformed out, bicycled around the country to other markets, and that can bring in a steady amount of money. But that mode of releasing films generally doesn’t make for big successes. It can make for modest, critical, reputational success. NK: Can you say a bit about your research into the life and film work of Phillip Borsos, a Canadian filmmaker who spent some of his early years in Tasmania? BA: He was born in Tasmania and lived there for the first few years of his life, and he was very proud of being from there and very interested in his past in Tasmania. I don’t recall hearing that he ever went back there. Even though I’m proud of the fact that none of “my” Top 10 made it onto “the” Top 10, I’m also pleased with the fact that the one film I selected that stood any kind of chance was The Grey Fox . Even though it got bounced to number 11 this time, it’s there on my list because I highly respect it as a feature film. NK: Australia had a similar period with 10BA in the late 1970s. BA: Some films were distinctly interesting and characteristic, but many of them looked like second-rate Hollywood, with second-rung Hollywood actors or soon-to-be-Hollywood stars. So we had films cast with people like Keir Dullea, Jodie Foster, Michael Douglas. In many respects, The Grey Fox is that sort of film. It’s a western starring Richard Farnsworth, who’d been a stuntman in hundreds of films but featured in only one other feature film before, Comes a Horseman [Alan J. Pakula, 1978], for which he was nominated for an Academy Award. He was then cast in Borsos’ film, which concerns an American train robber in Canada. 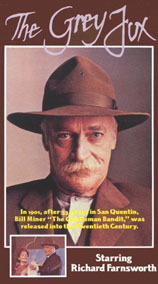 In some respects, The Grey Fox was seen as a movie that was doing what the Capital Cost Allowance was intended to do, in that it was helping to build a film industry in Canada, particularly in British Columbia, but it was also a highly creditable film about a historically verifiable character and moment in Canadian history. And it was really quite distinguished artistically. The film had modest financial success, considerable critical success, it won a bunch of Canadian Film Awards and it set Borsos on his way. One of the characteristic ways of looking at Borsos is that his career was one of failed opportunities, or opportunities that ultimately failed, promise unfulfilled. He won three Canadian Film Awards in a row for his short documentaries, Cooperage , Spartree  and Nails , and then a bunch of awards for Grey Fox, and then, supposedly, nothing afterwards measured up to that. But I’d say that rather than represent unfulfilled promise, he’s an example of unusual ambition in that he set himself goals that were not readily achievable in Canada at that time. He went to Hollywood to make a feature with Kurt Russell, The Mean Season , and then came back to do a co-production with Disney, One Magic Christmas , with Mary Steenburgen and Harry Dean Stanton. He then went on to make a very big and troubled production, Bethune: The Making of a Hero , with Donald Sutherland, which was at that stage the most expensive film produced in Canada, a big portion of which was shot in China. It was only the second western film to be shot in China, after Empire of the Sun [Steven Spielberg, 1987]. And production went on for several very, very difficult years. 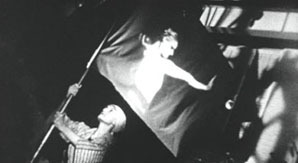 After a near-mutiny of the production in China because of the conditions there, there was a hiatus while more money was raised and the production moved off to Spain, and shot in Montréal, and afterwards it went through disputes between Borsos and the producers about cutting the film. It was a very difficult production. Borsos was then the first director to work on an adaptation of The Cider House Rules, which was on the point of being shot when the bottom fell out of the production, and they had to close up and leave Montréal, where they were scheduled to shoot in a matter of just weeks. Then finally he put together his last film, Far from Home: The Adventures of Yellow Dog , with Mimi Rogers, Jesse Bradford and Bruce Davison, a movie that was set and shot in the area of British Columbia where he was living, that has two boy characters who are named after his own sons, and which sadly turned out to be a film whose release he didn’t see. The trajectory of his career is one that involved the production of high-quality popular films for a mass audience, and that’s not what Canada was making, or what Canada typically would have made, during that period. What he also did was involve international partners. He worked in Hollywood for Orion, partnered with Disney, had this big international co-production shot in China and Spain, and made Far From Home with 20th Century-Fox, while many Canadian filmmakers were working on domestic productions and developing more of an art cinema. So, in some ways, while he was considerably different from them, he was in a sense an advance guard for people like Atom Egoyan. He was a contemporary of David Cronenberg’s and Patricia Rozema and people like that, who built international reputations with work that found its niche more in art cinema than Borsos’ work ever would have. I think that trajectory makes him an interesting case. NK: Your mentioning of the stalled production allows me a weak segue into asking about another project of yours, one which mixes teaching and research, and that is your course on Orson Welles and Nicholas Ray. What is it about those two directors that interests you? BA: That mostly revolves around a fourth-year seminar that I teach. My principal interest is in Nick Ray, but Welles forms, I think, a very interesting and appropriate companion: they complement each other nicely. Both are Wisconsin boys, both are known for having married stars, both many times married or partnered, both had promising careers starting at RKO and working with more or less success in the studio system – more in Ray’s case, less in Welles’, through the 1940s and ’50s – and then both of them at different points being spat out by the system, finding themselves as ‘maverick’ directors. Both of them paint heroic and pathetic figures of themselves, in interesting ways. Both were brilliant filmmakers, brilliant thinkers, but also vastly self-absorbed and intriguing historical characters for that. I find it interesting, when I teach the course, that throughout it students express a true interest in Ray, but when the rubber hits the road and they have to write a term paper, more of them gravitate to Welles because they think there is more there. And certainly there is more there in the way of critical literature, but not necessarily more there in the way of artistic accomplishment or interest, for my money. I put together a reference guide to Ray’s work a number of years ago, and I’ve been encouraged to consider putting together an anthology of work about Ray, previously published work. The time might be right with the Cinematheque Ontario retrospective of Ray’s work that circulated around the world and with a new edition of Geoff Andrew’s book. And with the relatively recent publication of Bernard Eisenschitz’s biography of Ray and Susan Ray’s collection of Ray’s own writings. To have a look at how Ray has been seen historically would be a good idea and a very interesting project. NK: When we were last together here in Kingston in the mid-1970s, I remember a bunch of us heading off to Toronto to attend the first Festival of Festivals [now the Toronto International Film Festival]. That is an event that has gone from strength to strength in some ways; it’s much bigger and is now a festival with considerable commercial and industry clout. What are your thoughts on the TIFF as it has developed over the last 25 years or more? BA: I’m ambivalent about film festivals. A number of years ago I was assigned by Queen’s Quarterly to write an article about the Toronto Film Festival. I was ambivalent about the Festival and I was ambivalent about Toronto as well! I called it “The Festival of Festivals in the Toronto of Torontos”. I enjoyed myself tremendously, indulging myself in the films that I was able to see, but I came out of it with a profound ambivalence because what was happening there was that Toronto was inundated with films, hundreds of films, over a very short period. The Festival was showing the vast wealth of what was being produced around the world. The flip side of that is that it was showing you what was not available for the rest of the year, for the most part. Because at that point, there was less emphasis on new commercial releases. Now there is still a vast amount that gets shown during the Festival and doesn’t get shown at any other time, and that strikes me as quite sad; it’s like the difference between binging and a regular, steady, healthy diet. And so, while the Toronto Film Festival is a time of exultation, there is also a sad element to it, as perhaps there is in any such festival. The Festival has been very good for Canadian films. It’s a venue that filmmakers cherish and would dearly like to have access to, and so the Festival has become even more selective than it ever was. There are a number of festivals around Canada: the World Film Festival in Montréal, the Vancouver Film Festival; there are festivals in places like Sudbury, Halifax, and still the Yorkton short film festival in Saskatchewan; there are many different kinds and brands of film festival in Toronto and other cities. So, there are plenty of places to see films of different types. The major festivals, like Sudbury, Vancouver and the Atlantic Film Festival, place a premium on Canadian films, so there are a lot of opportunities for showcasing various types of Canadian film. In 1984, Toronto presented a massive retrospective of Canadian film that was followed by its commitment to devote a section of festival programming, called Perspective Canada, to Canadian work. And that lasted until 2004, when the organizers decided to integrate most of the Canadian work into the section on Contemporary World Cinema or other sections of the Festival, recognising or underlining or promoting Canadian films as being equivalent to the rest of world cinema. While that is appropriate enough, I think it’s a bit of a shame that Canadian cinema is not given the kind of special treatment or highlight to the international audiences or press and trade that come to the Festival and watch the films. I don’t know what effect this change will have, whether it will prove beneficial to be integrated into that wider range of productions, or whether it might render Canadian cinema a bit more invisible in that context. I’m not sure. NK: Among the spectrum of contemporary Canadian film, is one form stronger than another at the moment: documentary, independent, bigger-budget feature? BA: To a great extent, that is determined by funding agencies. I’m not sure who coined this phrase, but when talking with people we would say that Hollywood had a studio system, but Canada had an agency system whereby the strengths and priorities of films and television were determined in large part by the federal and provincial funding agencies such as Telefilm Canada [formerly the Canadian Film Development Corporation] and the provincial film agencies like the Ontario Film Development Corporation [which has become the Ontario Media Development Corporation]. Because they had money to invest in productions, they tended to set the agenda of what was acceptable and what was not acceptable. This is one reason why I would dearly love to get into the files of Telefilm Canada to see something of how this process unfolded over time, but that hasn’t happened yet. Certainly, during a period of time filmmakers like Atom Egoyan and Bruce McDonald and Patricia Rozema built on the success of their early films, like Speaking Parts  Roadkill  and I’ve Heard the Mermaids Singing , they were seen as high-priority, as was the type of film they were making. You could see in some issues of Cinema Canada, which was the principal English language Canadian film journal at the time, elements of that attitude coming out in the trade and popular press. So, for instance, Bruce McDonald edited an issue of Cinema Canada and relabelled it, with a graffiti cover, “Cinema Toronto”. And there was a set of filmmakers – some of whom came out of Ryerson [Polytechnical Institute, now University] and the University of Toronto – who knew one another, worked with one another. Peter Mettler shot films for Atom Egoyan, Bruce McDonald edited Atom’s films, Peter would shoot Bruce’s films. That sort of cross-fertilisation made for a very vibrant moment, and that was beneficial. It raised the profile for Canadian films within Canada and promoted the notion that these kinds of films were possible. Many of my students during that time made heroes of Bruce McDonald and Atom Egoyan and Patricia Rozema. It was like generations before, when David Cronenberg said that David Secter’s film, Winter Kept Us Warm , showed him that filmmaking was actually possible in Toronto at the time, in the 1960s. The filmmaking that Egoyan, Rozema and McDonald were doing showed people just a few years younger than they that filmmaking was possible once you got out of school. But it seems to me that those possibilities and priorities are set by, and different kinds of filmmaking are supported by, the funding systems that are available, whoever happens to be in place and whatever their priorities happen to be at the time. And this has been more consistent in Québec, I think, than in English Canada. We see a desire for, a priority given to, a popular cinema, a popular cinema that will make money. So in Québec you have comic films like La Florida [George Mihalka, 1993] or Les Boys [Louis Saïa, 1997], a film about an amateur hockey team. NK: A French Canadian Slap Shot [George Roy Hill, 1977]! BA: Yes, but a bunch of guys who just get together to play hockey, who are of different types and get into different kinds of adventures. This film was vastly successful and spawned two sequels within the Québec market. That sort of popular film is a rarity in English Canada. Or another case in Québec, a film like Séraphin: un homme et son péché [Séraphin: Heart of Stone, Charles Binamé, 2002], which is based on a Québec novel that had been adapted once before as a feature film, adapted again as a television series in the 1950s and early ’60s, and then it was revived again as a historical melodrama that was a tremendous success, appealing to the cultural history of Québec. In television you see a change in the type of television production that is being supported that’s a bit different. There has been a significant diminishment of television drama production in Canada, and quite an active, vocal response to this from some levels of talent in the industry. And what we’re finding is that, while there might be a viable television industry, it might not be lucrative enough, or it might be so fragmented, that it can’t support dramatic production that is comparable in production values to Hollywood production, because it can’t pay for itself in Canada and doesn’t readily sell itself elsewhere. Interestingly, what we see now is the production of programs like Trailer Park Boys [Mike Clattenburg, 1999], ultra-low-budget, ultra-vulgar comedy out of Halifax, which I think is an astonishingly good show, done for very little money, and where most of the money has gone into talent and very little into production values. It’s been an extraordinarily popular program, broadcasting not on CBC or broadcast stations, but on Showcase, a cable service. NK: So it doesn’t need much money to make its cost back. BA: No and, interestingly enough, apparently it was sold to, I think, to BBC US, after it was learned that the first two seasons, released on DVD, were selling in the thousands through Amazon.ca to American buyers. So it had built an audience in Canada but through DVD sales had also built an audience that only came to be known via the Canadian branch of Amazon – and only then was the show sold to the States! NK: I have been reading about the use of the “financial envelope” as a main way of funding contemporary Canadian film. What is your opinion on that form of funding? BA: I’d like to think that it’s short-sighted because it denies the possibility for developing talent. If everything depends on whether a particular film makes its costs back, that makes for an extremely vulnerable undertaking. There has to be room for films that are not likely to make their money. But the problem is that very few producers are sufficiently capitalised to bankroll the films that don’t pay for themselves, and even the companies that might be considered to be that highly capitalized – like Alliance/Atlantis – have pretty much gotten out of the business of feature filmmaking. 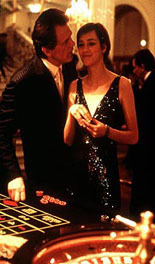 NK: After funding Neil Jordan’s remake of Bob le flambeur [Melville, 1955], The Good Thief (2002) which cost $24 million and only made $5 million or so. I thought it was a good film, and deserved to make much more money. BA: Yes, or you have the case of Men With Brooms, which cost $7 million or so and probably made back about $2 million in its initial release. One of the common conceptions about Canadian cinema is that it has been well-served with directors, writers and creative personnel, but has not built a significant body of producers who might be in a position to enable the work of the creative personnel and deal with it once it’s done. NK: What other small national cinemas would you see as roughly analogous to Canada’s: Australia, New Zealand, Scotland, Ireland? BA: There are so many ways of looking at that. You can draw comparisons in terms of scale and say Australia, Scotland or perhaps Sweden, countries of a small to medium size and particularly countries that might have to wind up distributing to themselves, and have just a little outlet for some of their work internationally. Canada, in some ways, might be seen to be more like India in that it’s linguistically divided, culturally quite divided and regionally divided. So, although in economic scale it’s nothing like Indian cinema, in its cultural profile there are comparisons to be drawn. When it comes to films, of course, those differences are not principally reflected in the production of feature films. To some extent it is: there’s a difference between a Hal Hartley film from Long Island and a Hollywood film. NK: When I spent a couple of years in Kingston in the mid 1970s, there was a lively cultural debate about what constituted Canadian, and a few years later books like Tony Wilden’s The Imaginary Canadian were published. I assume the debate continues. NK: Has the debate taken any turns that you find interesting or significant? BA: Maybe it’s changed from “What is a Canadian?” to “What are Canadians?” There has been a profound recognition of difference/distinction, pluralism and multiculturalism, all those things that exist and are parts of government programs, and there are distinctions to be drawn in terms of region. There have been several editions of a reader in Canadian Studies called A Passion for Identity. I’m not wild about the title. If you look at the differences across editions, one is that there is a greater sense of region as a defining factor. I find myself pushing for what I call a non-normative approach to Canadian Studies. I’m not looking for what is typically Canadian in Canadian cinema or what is characteristically Canadian or even what can be inferred, in the way Northrop Frye or Margaret Atwood did, from a body of Canadian work in order to determine what might be said to be distinctively Canadian, as much as I’m interested in what is legally or proprietarily Canadian in order to ask what this says about the systems that made those films. In the case of Phillip Borsos, for instance, I’m interested in the way he was able to make or not make films, the ambitions he had and what he was able to achieve and not achieve. I do that in order to understand something of how Canada was during that time, setting agendas for what it was doing cinematically and in television, rather than looking for what is quintessentially Canadian. I look on the Borsos project as an extension of a project involving the rethinking and reinvestigation of Canadian film history. One project I worked on for a while was an investigation of a 1939 documentary called Heritage [J. Booth Scott] the Canadian complement to Pare Lorentz’s The Plow that Broke the Plains . It was a project undertaken when the Department of Agriculture was looking to make a movie and determined that Lorentz’s film wasn’t adequate for their purposes. They wanted to make something distinctively Canadian. In doing that research on Heritage, I was revising one small corner of the research that Peter Morris and other earlier historians of Canadian film had done. I thought it needed some additional research and some revision. We’re seeing more and more of that happen. In the issue of Canadian Journal of Film Studies I edited, there were a couple of similar projects, Peter Steven’s involving early cinemas in Toronto and Paul Moore’s involving the development of Canadian Odeon as a cinema chain. Zoë Druick did a piece on a National Film Board semi-documentary, comparable in her view to films, like Call Northside 777 [Henry Hathaway, 1948] that Louis de Rochemont was doing in the US. It’s time for a deepening of the history as it has been written to this point, and it’s good to see that there is a brace of newer, younger scholars – as well as some of us no-longer-young scholars – interested in pursuing this area. NK: When you left Queen’s to go to the US to do your Ph.D. at Northwestern, you wrote a dissertation on the Beats and cinema. Over the past several years, we’ve seen a stream of books on the Beats – the hidden-from-history women beats, Jack Sergeant’s and David Sterritt’s books, glossy books like Angel-Headed Hipster, biographies and so on. Is this topic still of interest to you? BA: Oh yes, I keep monitoring it as much as possible. There’s now such a plethora of critical literature on the original literature – biography after biography of Jack Kerouac or people in his circle. It’s a challenge to try to keep up with all this stuff, and I try to keep up with the cinema-related material as much as I can. A few years ago there was a conference on Frank Sinatra at Hofstra, on Long Island. I gave a paper on some of my findings about relations between Frank Sinatra and the Beats – not real ones – I think he would have thought of them as a little too unclean to shake hands with! But there are some interesting correspondences between the image of Frank Sinatra as it was being circulated in the 1950s, and the kind of hipster that Kerouac and Ginsberg and others represented. And Ginsberg and Kerouac both used Sinatra as a kind of touchstone, so there was a really intriguing kind of interaction between those two ‘identities’ that I thought was worth bringing to the attention of that public conference audience. I haven’t produced anything earth-shatteringly new on the Beats in recent years, but I maintain an interest in the topic. We’re also seeing different areas come up. I had investigated films like Shadows [John Cassavetes, 1959], On the Bowery [Lionel Rogosin, 1957], Jazz on a Summer’s Day [Aram Avakian and Bert Stern, 1960] and a lot of that research still pertains. You can bring it into the work on Welles and Ray, because it really was a turning point or movement into a new generation for an independent cinema in the US of a kind that Ray and Welles would find themselves part of, like it or not, in subsequent years. So there are connections between that kind of Beat independent filmmaking and the kinds of things that Ray, Welles and later generations of filmmakers would undertake.